Join EZMD Today With Referral Code "DFW"
Click ​HERE To Join Today! EZMD provides you a more convenient Choice for healthcare with 24/7 doctor access by phone with Teladoc and No Fee for consultations. That's right, all doctor consultations are included with your EZMD Membership! Anyone can use EZMD regardless of previous medical condition. Have "peace of mind" knowing that your family can speak with a doctor whenever you, your spouse, or children need care. Use Teladoc as often as needed without additional fees. 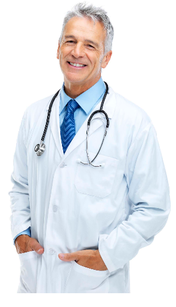 Teladoc physicians provide treatment advise for most healthcare concerns and common illnesses. And, if medically necessary, the doctor can provide a prescription and send to a pharmacy near you. EZMD is the perfect complement to today’s high $$ deductible and high $$ co-pay insurance plans. Receive additional Healthcare Savings with EZMD Dental, Vision, and Pharmacy discount benefits! All Benefits can be used as often as needed by the Member, Spouse, and all legal dependents! US citizenship is not required to become an EZMD Member. We’re Empowering Everyone to Control Their Healthcare Spend! Get Care on YOUR TERMS with Telehealth! Speak with a doctor Right Now! You have a "Doctor In Your Pocket!" Your EZMD Discount Medical Plan features Teladoc! Click the Benefits tab for additional information. ​ Not available to UT, VT, and WA residents.